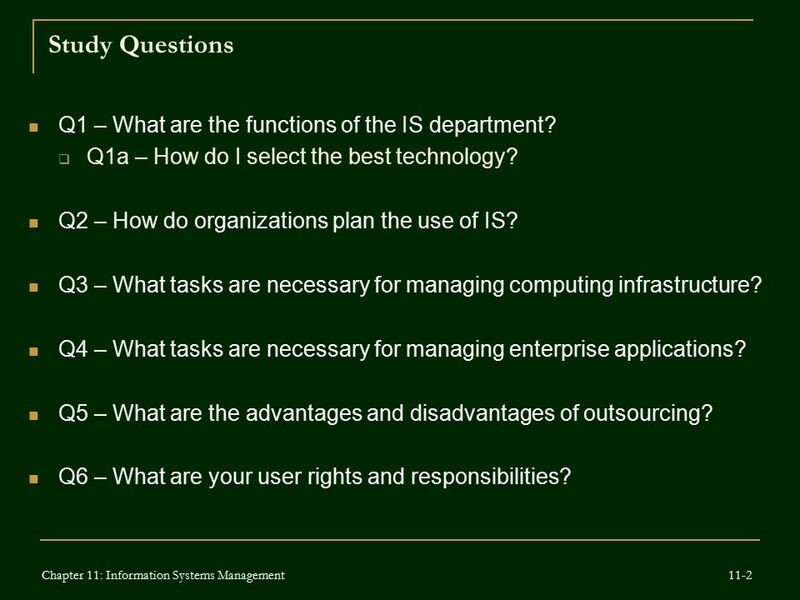 2 Study Questions Q1 – What are the functions of the IS department? 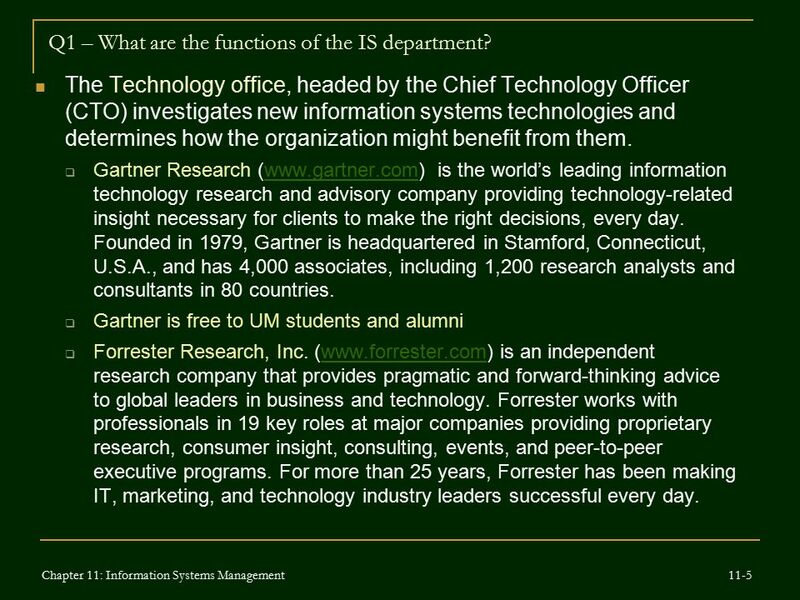 3 Q1 – What are the functions of the IS department? 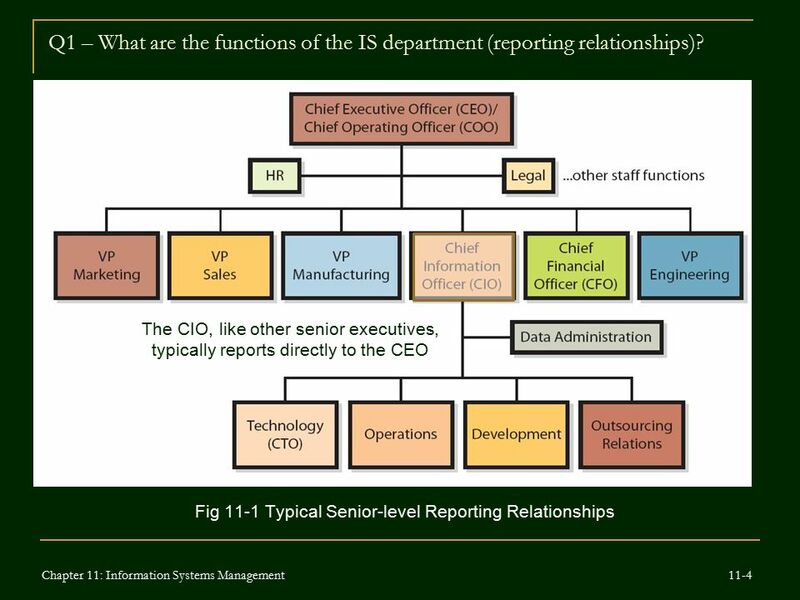 4 Q1 – What are the functions of the IS department (reporting relationships)? 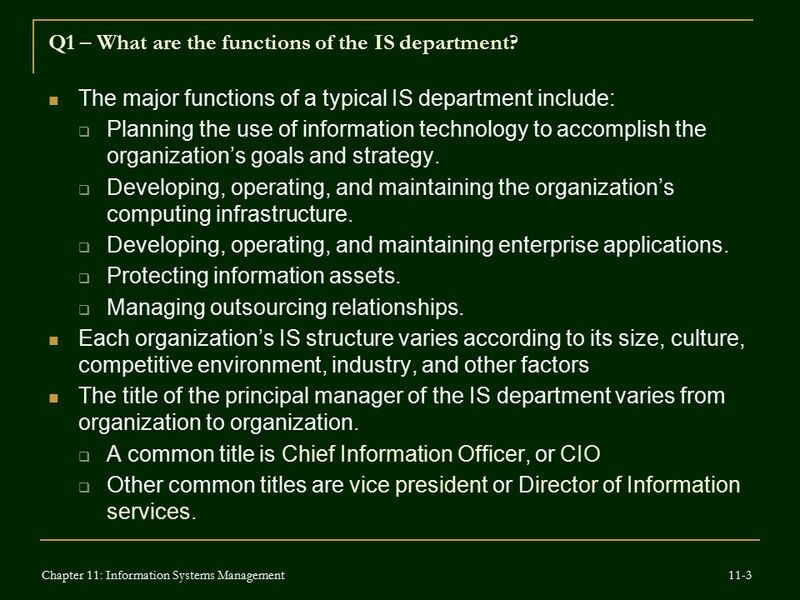 5 Q1 – What are the functions of the IS department? 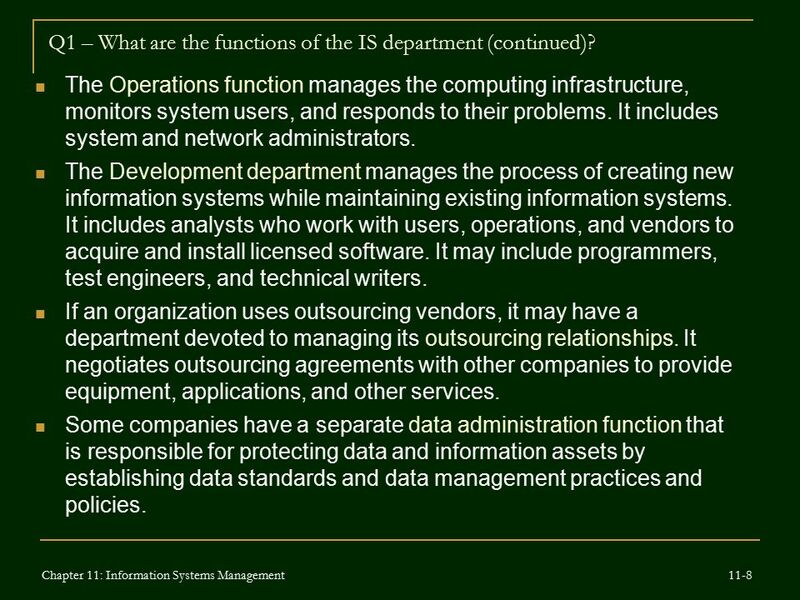 8 Q1 – What are the functions of the IS department (continued)? 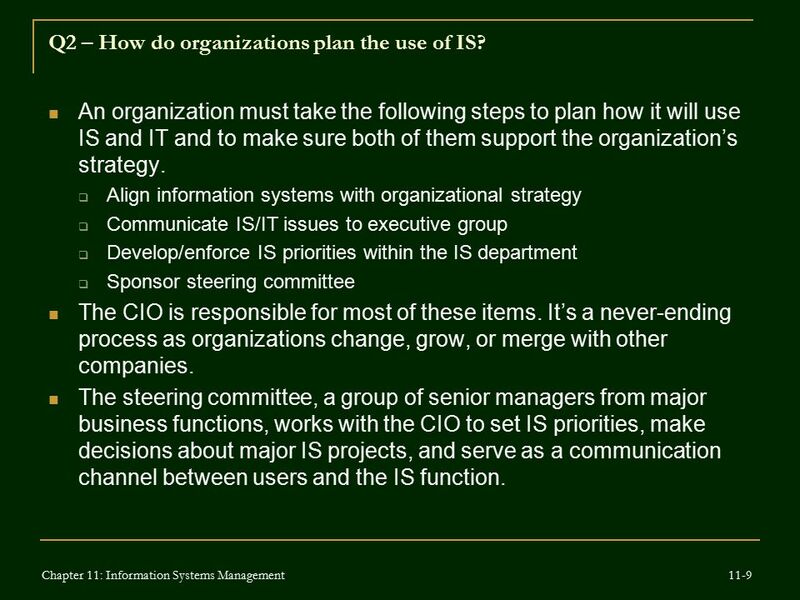 9 Q2 – How do organizations plan the use of IS? 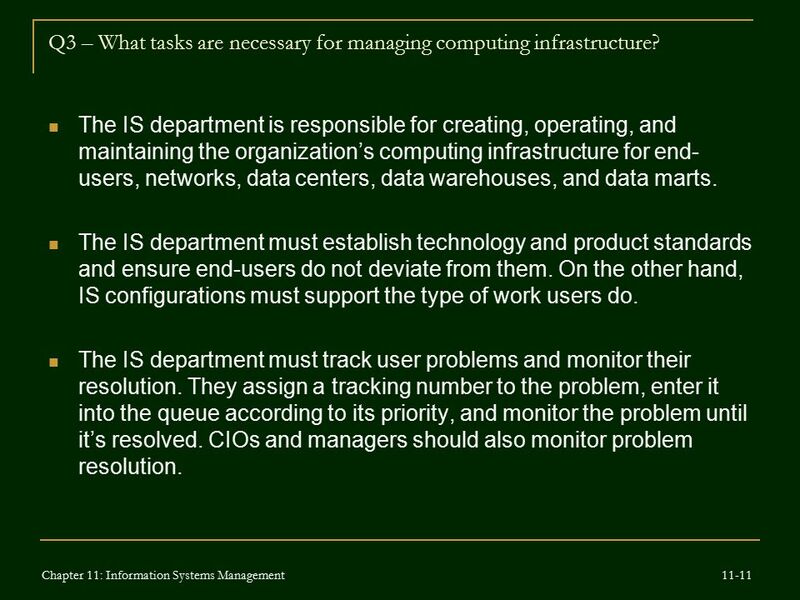 10 Q3 – What tasks are necessary for managing computing infrastructure? 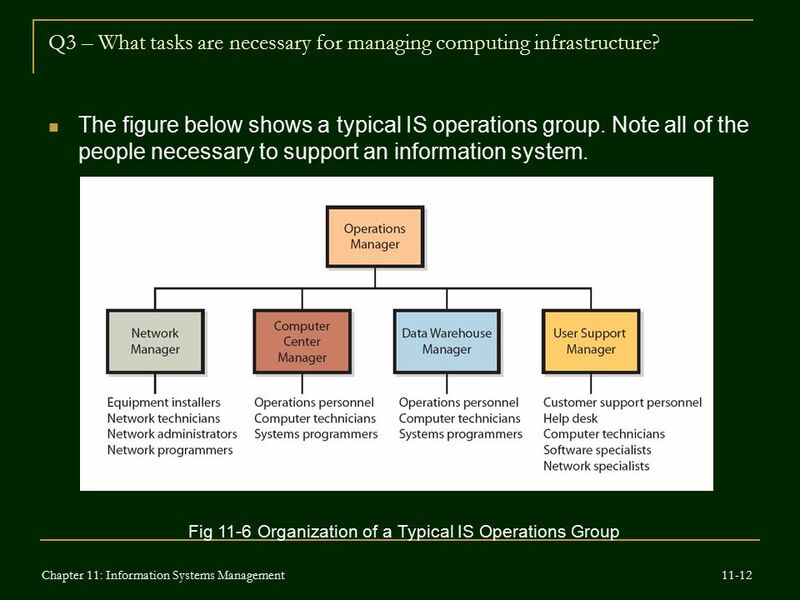 11 Q3 – What tasks are necessary for managing computing infrastructure? 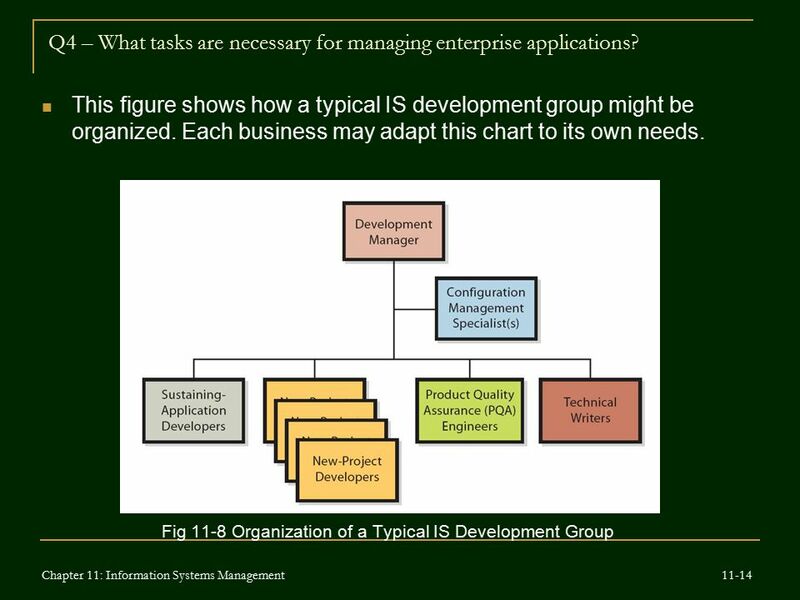 12 Q3 – What tasks are necessary for managing computing infrastructure? 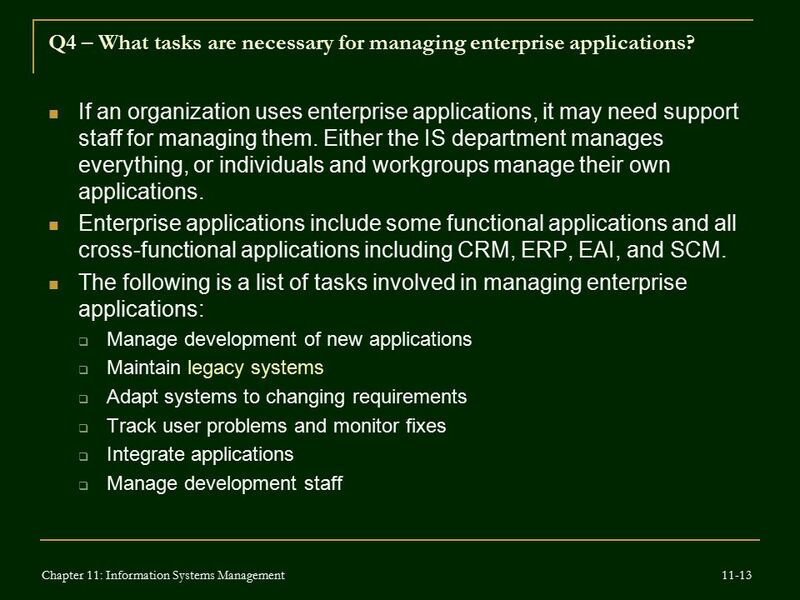 13 Q4 – What tasks are necessary for managing enterprise applications? 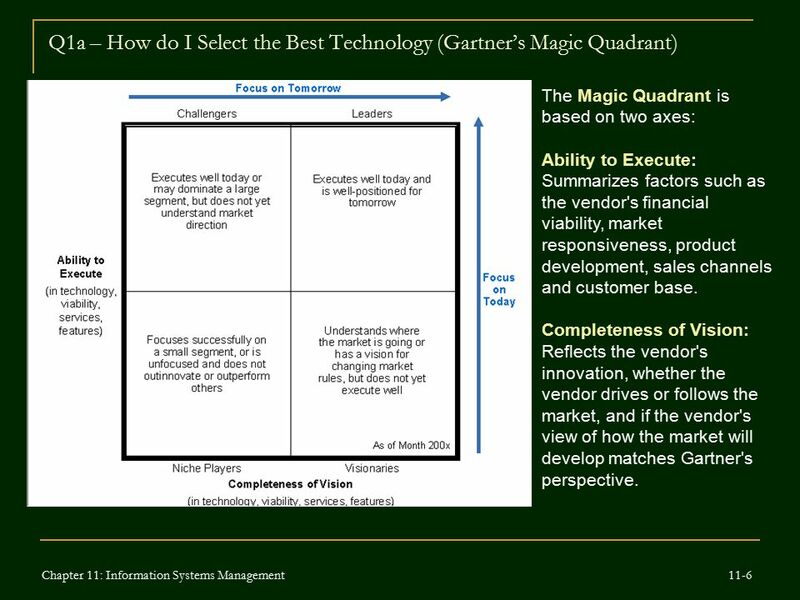 14 Q4 – What tasks are necessary for managing enterprise applications? 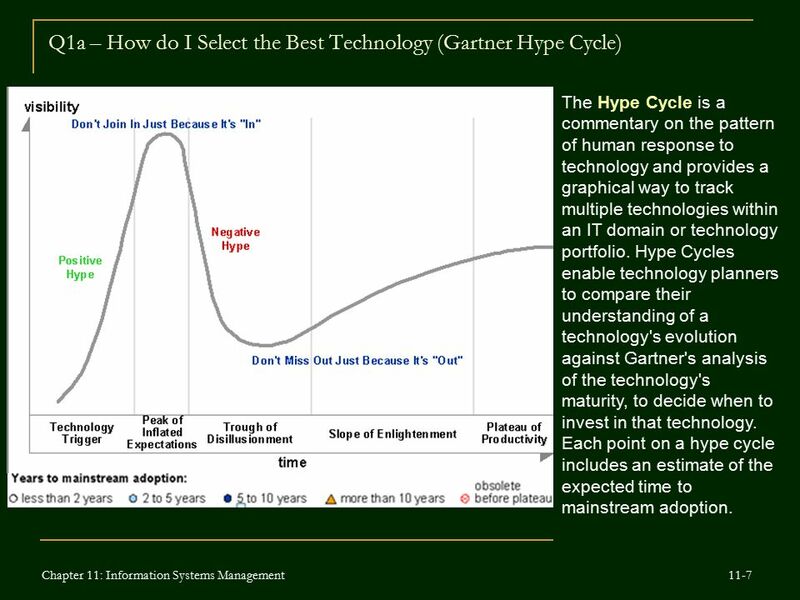 15 Q4 – What tasks are necessary for managing enterprise applications? 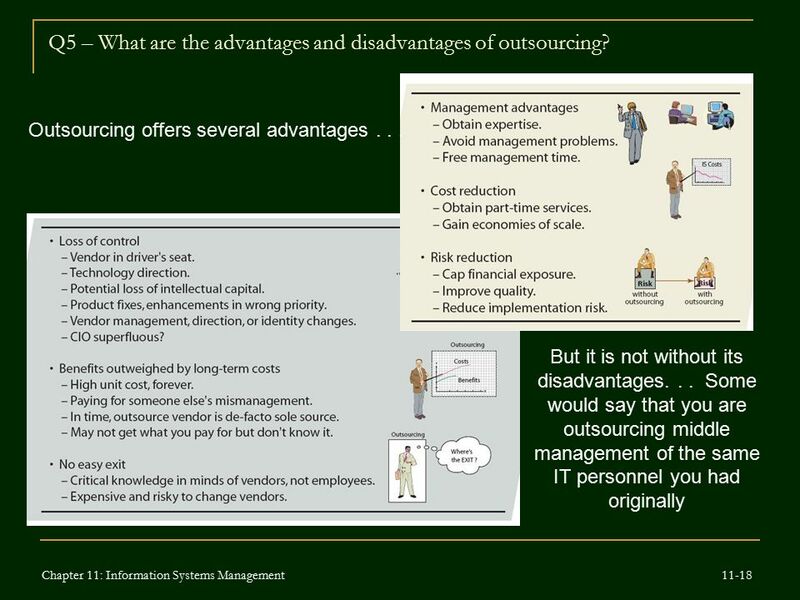 16 Q5 – What are the advantages and disadvantages of outsourcing? 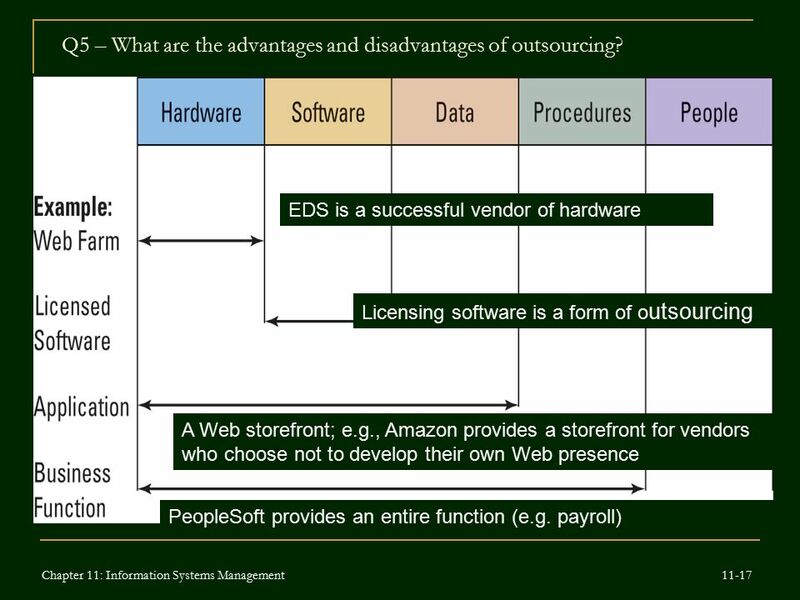 17 Q5 – What are the advantages and disadvantages of outsourcing? 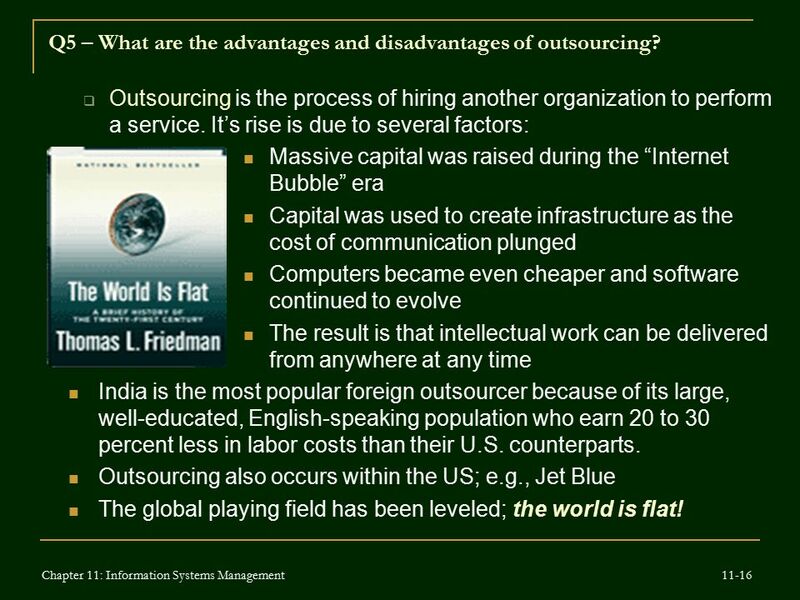 18 Q5 – What are the advantages and disadvantages of outsourcing? 19 Q6 – What are your user rights and responsibilities? 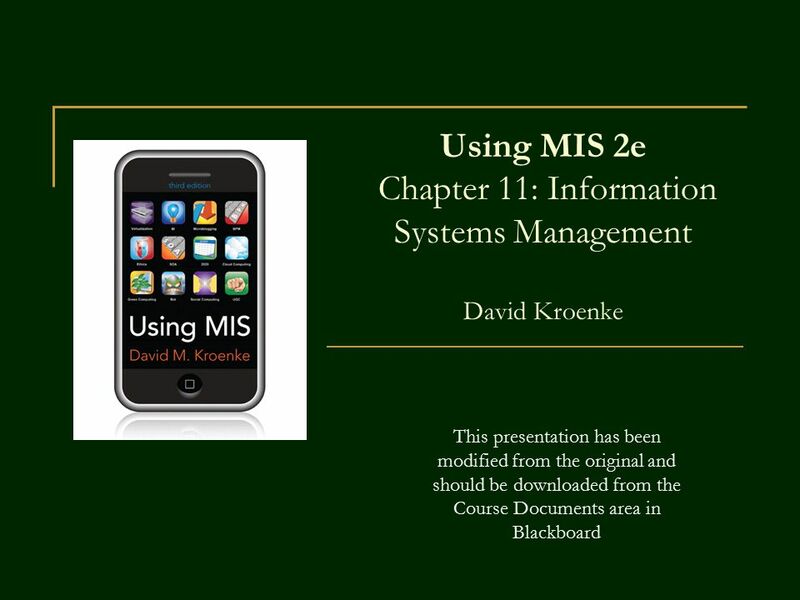 Download ppt "Using MIS 2e Chapter 11: Information Systems Management David Kroenke"
Copyright 2007 Wiley & Sons, Inc. Chapter 11 Introduction to Information Systems HTM Management Information Systems College of Business Administration. Chapter 12: Planning for Electronic Commerce Electronic Commerce, Seventh Annual Edition. Chapter Extension 20 Outsourcing © 2008 Pearson Prentice Hall, Experiencing MIS, David Kroenke. Chapter 5 IT Processes Presented by Dr. Mohamed Sammouda. 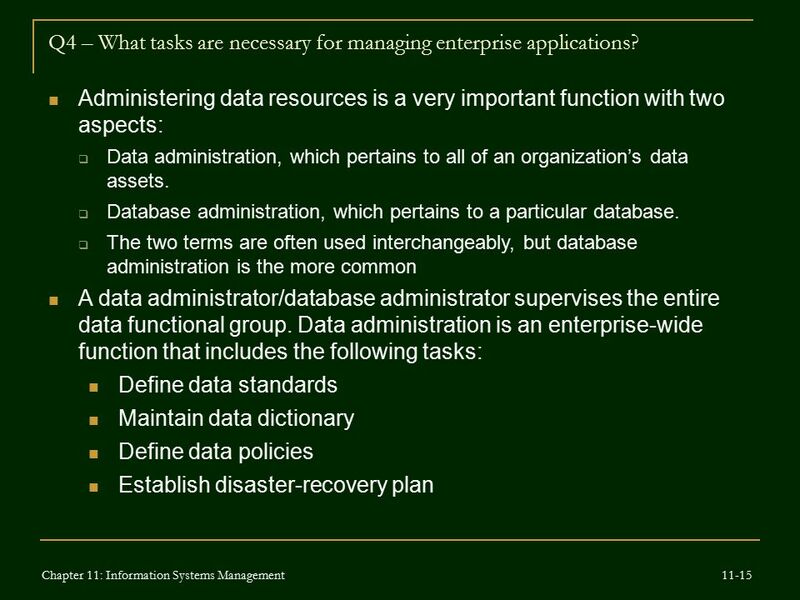 Question 4.- What Tasks Are Necessary For Managing Enterprise Applications ? The use of information systems to add value to the organization is strongly influenced by organizational structure, culture, and change Identify the value-added. 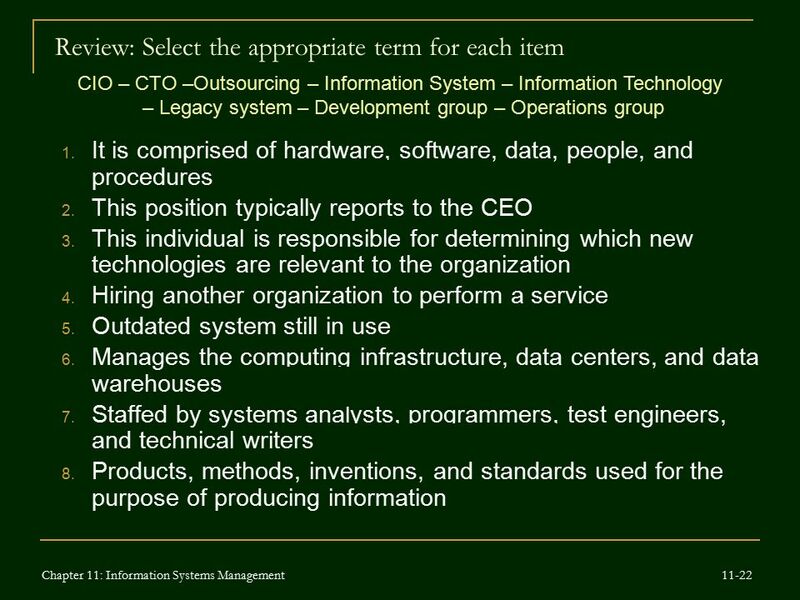 © 2007 Prentice Hall, Inc.1 Using Management Information Systems David Kroenke Information Systems Management Chapter 10. Principles of Information Systems, Seventh Edition2 An organization’s TPS must support the routine, day-to- day activities that occur in the normal course. Chapter 10 Information Systems Management. 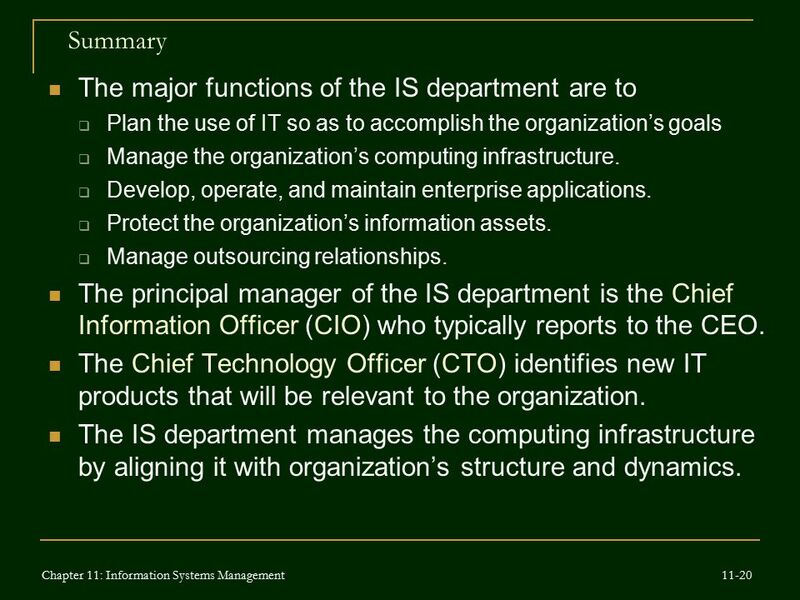 Agenda Information Systems Department Plan the Use of IT Manage Computing Infrastructure Manage Enterprise.